The Southern Right Whale is a baleen whale; rather than teeth, they have long and numerous baleen through which water is filtered to feed on plankton. Their head is very large, making up one-third of total body length. They have short, wide flippers and a V-shaped blow hole and, unusually for a baleen whale, they do not have a dorsal fin or a grooved throat. The name ‘Right Whale’ may have its source in whalers considering it the ‘right’ whale to hunt, as it is large, slow-moving and floats when dead. However, this reason for the name is not certain. 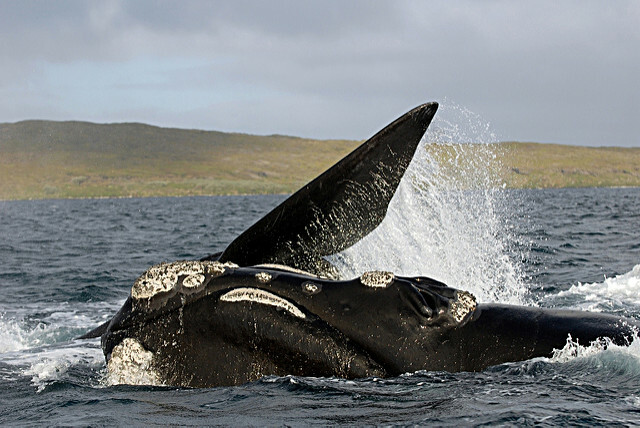 Southern Right Whales feed on plankton. They migrate, travelling to traditional areas to reproduce in breeding groups. During the mating season, up to eight males may mate with one female. 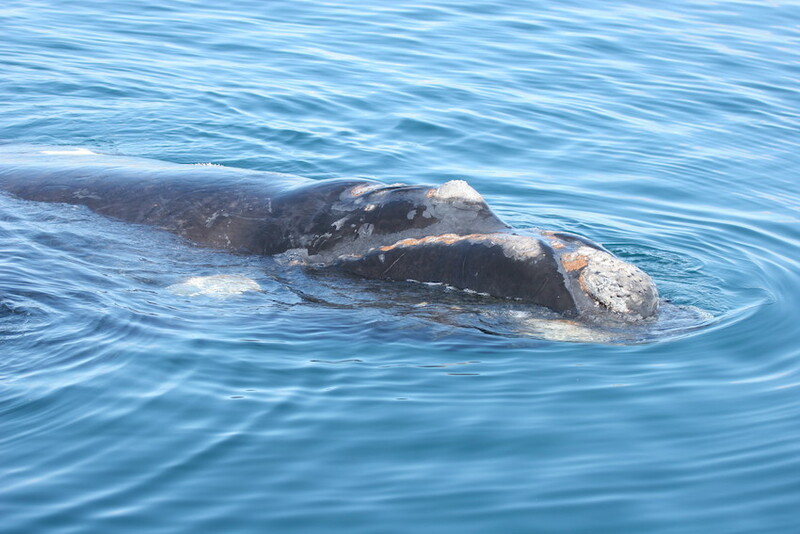 Pregnancy in Southern Right Whales lasts for 11-12 months, after which the female gives birth to a single, large calf. Calves are weaned after a year, and will reach adulthood at 9-10 years old. The Southern Right Whale lives only in the Southern oceans. There are major breeding areas around southern Australia and New Zealand, and the Atlantic coast of South America (Argentina and Brazil) and southern Africa. Populations of this whale fell steeply as a result of intense hunting for oil between the 1600s and the 1930s. Since it was given worldwide protection in 1935, numbers have recovered, but the species still suffers from disturbance from ships, divers, coastal industrial activity, entanglement in fishing gear and pollution.